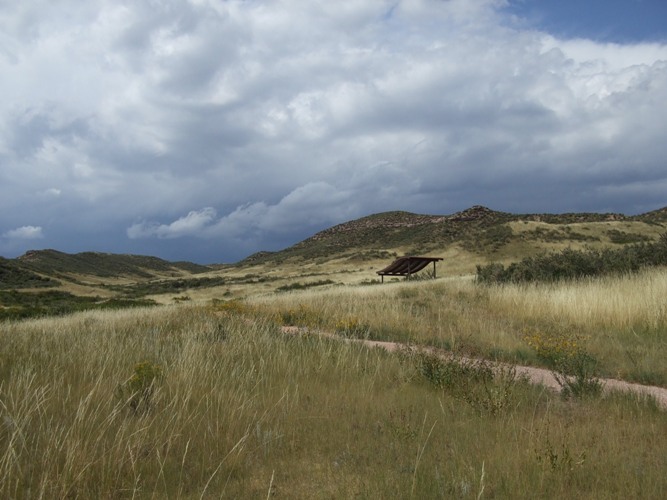 The core of the Soapstone Prairie Natural Area outside of Fort Collins, Colorado was purchased primarily with city and county open space dollars and now totals 18, 732 acres. By itself, it is a spectacular natural area that serves as habitat to over one hundred bird species, elk, deer, badgers and prairie dogs as well as vibrant plant communities – including some that are globally rare. Its value is compounded by its location adjacent to a 13,500-acre block of land known as the Red Rock Mountain Open Space. Other conservation partners including land trusts and state agencies have acquired an additional 50,000 acres of land that links a nearly 200,000- acre mountains-to-plains corridor. Viewed together, the region protects a mountains-to-plains landscape known as the Laramie Foothills. This larger project connects the Front Range of the Rocky Mountains with the High Plains of Colorado and Wyoming. The value of landscape protection depends on you perspective. 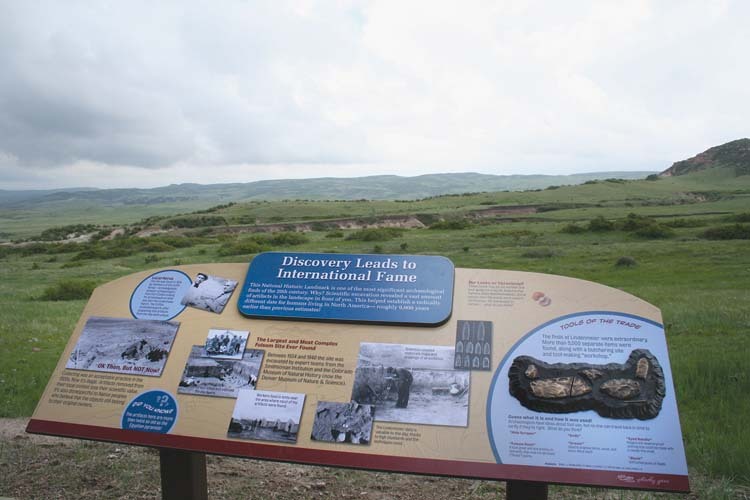 For archeologists, the Soapstone Prairie Natural Area is a huge success story because it preserves the renowned Lindenmeier Archaeological Site. The Lindenmeier Site is a stratified multi-component archaeological site most famous for its Folsom component, a campsite with a radiocarbon date of 10,600 to 10,720 B.P. The site includes tools such as spears and scraper, scored pieces of hematite were used to extract red ochre for paint, and a form of Paleo-Indian artwork – highly polished round discs of 1-2 inches in diameter with indented rims and designs. Associated bison kill sites and even a camel bone shed light on resource use in this early period. The Secretary of the Interior recognized the significance of this site by declaring the site a National Historic Landmark. In the past the United States National Park Service has studied the possibility of making the Lindenmeier Site a United States National Monument. Today the property owner, the city of Fort Collins, has taken active steps to conserve the many values of the area. They have worked to balance the traditional uses of grazing with new public access through multiple use trails, and high levels of protection for fragile cultural resources specifically the Lindenmeier Archaeological Site. The Soapstone Prairie Natural Area Management Plan was prepared in 2007 to guide the development of the land. Over 1,000 area residents toured the property and many more were engaged in the process of writing the plan. In looking over the many public comments, the possibilities for open space and habitat conservation were of great interest, but it was visiting the Lindenmeier Archeological Site that inspired the most enthusiastic comments. “What a thrill to have this in our backyard!”, “This should be a World Heritage Site”, “I have lived here all my life and never knew about this treasure” and “It was amazing to stand at the Lindenmeier Site, looking over the broad expanse of prairie, and to imagine those who had lived there over so long ago.” You can read more comments in the management plan or better read about how you can visit the area here. It is responses like this that make the hard work of large landscape conservation all worthwhile.